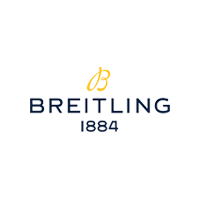 A stunning, classic, elegant engagement ring that will make your loved one feel special. 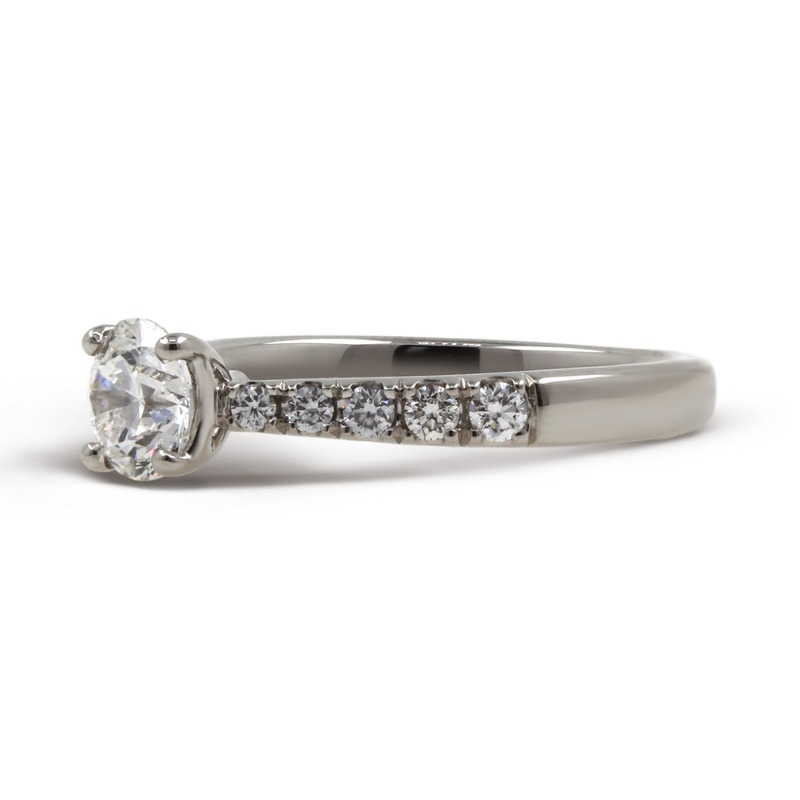 A beautiful round cut diamond proudly sits at the head of this ring. This diamond is securely held in place by 4 claw settings. 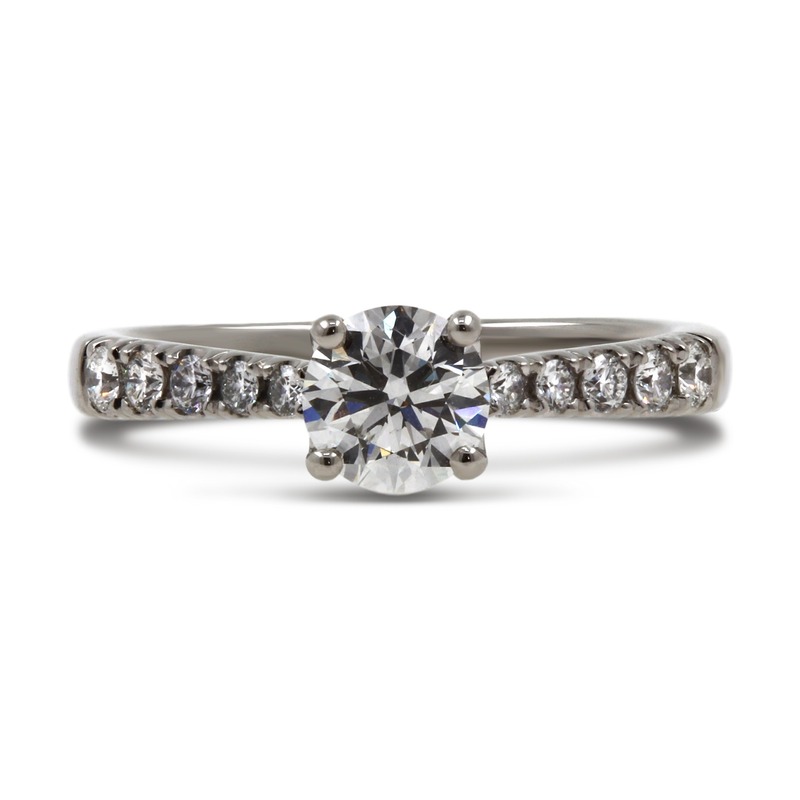 The platinum band compliments the stone perfectly as it graduates away form the stone. 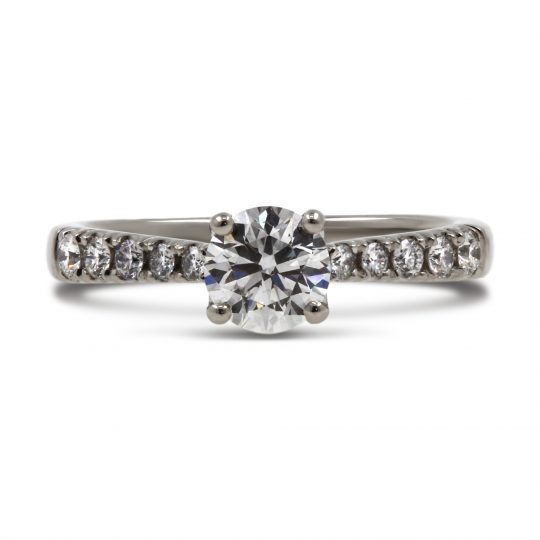 This stunning band also features diamond set shoulders which allow this ring to sparkle from any angle. 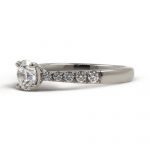 0.70ct certified Diamond Ring with Colour F and a clarity Clarity SI. 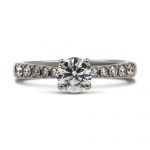 Platinum Classic Skye 0.70ct Diamond Ring has been successfully added to your shopping bag.